What Works in Girls Education, a new book published by The Brookings Institution, extols the far-reaching benefits of educating young women and girls around the world. In study after study, the evidence presented only confirms what many of us already suspected -- girl's education is among the smartest and most worthy investments a country can make. Why? Because in virtually all respects it leads to better outcomes for women, families and societies: increases in economic growth, women's employment, wages and productivity as well as reduced rates of infant and maternal mortality, child marriage, and the incidence of HIV/AIDs and malaria. And while there are more women and girls in school than ever before, especially primary school, the numbers remain dismal for secondary school participation, with completion rates in the single digits for many countries. Across Sub-Saharan Africa, 75% of girls start school but only 8% finish secondary, explains Rebecca Winthrop, director of the Center for Universal Education and the book's co-author along with former national security advisor Gene Sperling, who founded the Center. Higher education, though clearly beneficial from a jobs and earnings standpoint, receives scant mention in this volume, despite current World Bank research that shows higher education levels produce the biggest returns. You have to walk before you can run, Winthrop and Sperling often remind us. There are plenty of reasons why girls don't go to or stay in school. Traditional norms around girl's education, school fees, early marriage and family decisions are often cited for the high incidences of girls dropping out. Crises of all kinds - wars, disasters and epidemics -- are also big factors. Burundi, the world's second poorest country, is in the midst of such a crisis that has already cost hundreds of lives and displaced more than 200,000 families. The violence there shows no signs of abating. 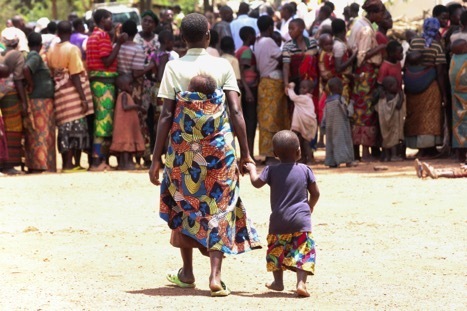 Though news has turned to other crises, and there are many, the impact of on-going insecurity in Burundi has been devastating, especially for women and girls. Some girls have even been forced into prostitution just to survive. "The country is in trouble, not fine, as there are scattered scenes of violence. That is all I can say," said Alida Kaze, a second year student at the Akilah Institute for Women, the only women's college in East Africa. Alida is among 44 Burundian students that recently transferred to Akilah's Kigali, Rwanda campus after the organization was forced to close its Burundi campus earlier this year due to the political crisis. Alida is one of the lucky ones. 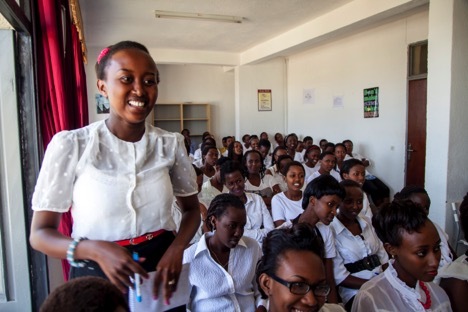 Her family, all of whom are in Burundi, encouraged her to go to Rwanda to continue her studies. 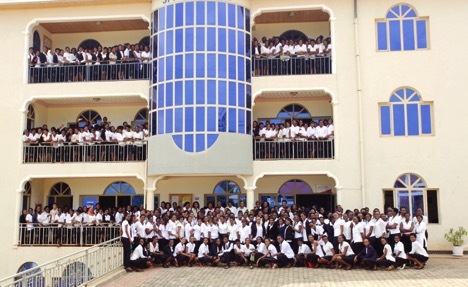 More than 100 Akilah Burundi students, however, were unable to transfer and the campus remains closed indefinitely. "I feel sad for those students who did not manage to continue with Akilah...others are out of school now, hopeless," she said. "It is not a good situation for them." Even before this current round of fighting, the education statistics for girls' education in Burundi were grim. According to UNICEF and UN Data, 29% of girls were enrolled in secondary school in 2013, the latest available data, yet just over 14% completed their schooling. A scant 2% of girls were enrolled in higher education. Still, this represents a measure of progress over previously reported data from 2008-2012. As the crisis expands in Burundi, however, educational and economic opportunities for women and girls are shrinking. "The situation is still bad. It keeps on worsening each passing day," said Chaddia-Ariella Irankunda, another Burundi student now studying at Akilah. One of her family members recently moved quarters in the city due to insecurity. Chaddia-Ariella considers education a strength that empowers people: "It gives direction which helps one to achieve their dreams. It is a pathway to a better life." Her dream? "I initially wanted to become a doctor but when I joined Akilah, I saw that this is the right place since I love to study English and want to become a businesswoman." She describes her former classmates who didn't manage to join Akilah Rwanda as blocked, with all they wanted to achieve now limited. Chaddia-Ariella wishes that Akilah can reopen in Burundi so other Burundian girls get the opportunity to study. "There are other students who left their jobs or were unable to join Akilah Rwanda due to family duties or lack of funds and are now out of both a job and an education," she said. "We cannot give up on these children simply because they have the misfortune to be living in places where often poor governance, unrest, and disaster combine to overwhelm the coping capacity of families, communities, and governments," Winthrop and Sperling conclude. We must find ways to help young women and girls continue their education, not only for their own sake but for the sake of their families, communities and nations.